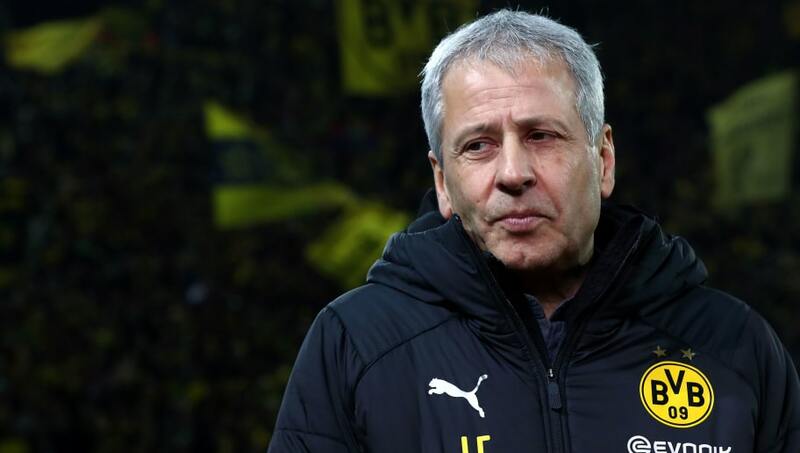 Borussia Dortmund manager Lucien Favre was waxing lyrical about the club's captain Marco Reus following their 2-1 win over Borussia Mönchengladbach. Both sides looked laboured at the Westfalenstadion on Friday and they spent most of the first half feeling each other out, although a moment of brilliance from Jadon Sancho broke the deadlock just before the break. Although the clock was ticking down, Gladbach were able to pull themselves back into the match before half time, but Marco Reus scored the winning goal for Borussia Dortmund after getting on the end of an inch-perfect pass from Mario Götze. "Marco Reus has been superb in the first half of the season," Favre said, quoted by the club's official website. "He was always there and played almost every match, only missing out against Monaco in the Champions League. "It was a deserved victory. We had more possession and more chances. 2-1 is okay, it's three points. We're happy to have a break now." Borussia Dortmund captain Reus has arguably been the best player in the Bundesliga so far this season, where he's scored 11 goals and claimed seven assists in just 17 league appearances. His performances, along with those from the likes of Sancho and Paco Alcácer, have ensured that Borussia Dortmund go into the winter break as the Bundesliga's Herbstmeister - the league leaders at Christmas. Their win over Gladbach has temporarily extended their lead at the top of the table to nine points, but Bayern Munich can leapfrog the Foals and close the gap on Dortmund to just six points if they can claim a win against Eintracht Frankfurt on Saturday.